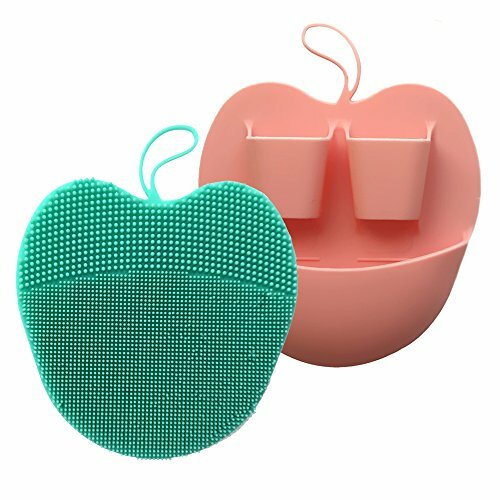 HieerBus is offering this elegant and exquisite 2-pack of facial scrubbers for exfoliating, scrubbing, cleansing, and blood circulation. To create for you a glowing skin of your face, arms, and legs in a spa massage feeling atmosphere. The anti-slip design of the facial cleaning pad is designed with two finger strips and a groove. Two strips are built for your two fingers to be in and the groove on the face brush allows you to apply the pressure to scrub and won't slip from your hand. Our facial brush pads are just awesome. It really does the job wonderfully. Your skin will be so much smoother. Plus our brush is much easier to clean then all other brushes you have ever tried and it just feels wonderful! Toss those stiff bristle brushes away and make sure to give our soft silicone facial pads a try. ✔ What a great product. The pads have a soft gentle touch on your skin. The natural silicone material is made perfect for scrubbing. Easy to hold with your fingers and easy to clean too. It is miles ahead of traditional scrubbing bath and shower tools!